Advances in Botanical Research publishes in-depth and up-to-date reviews on a wide range of topics in plant sciences. 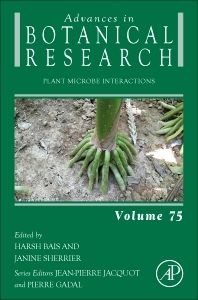 Currently in its 75th volume, the series features several reviews by recognized experts on all aspects of plant genetics, biochemistry, cell biology, molecular biology, physiology, and ecology. Harsh Bais is an associate professor of plant and soil interface at University of Delaware. 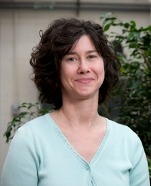 Dr. Bais’ rhizosphere biology research is focused on the biological significance of root-mediated responses. Root-root and root-microbe communications are continues occurrences in the rhizosphere, but due to the underground nature of roots, these intriguing interactions have largely been overlooked. His research is taking a multi-disciplinary approach by interfacing plant biology, molecular microbiology and biochemistry to unravel this underground communication process.